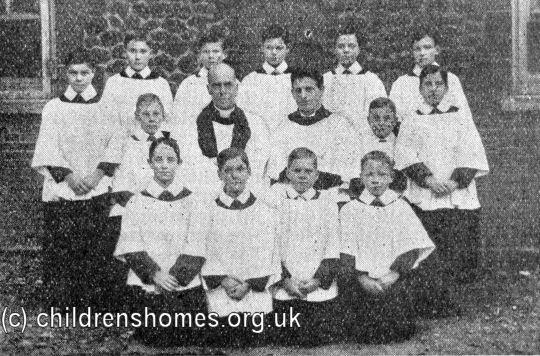 The St Christopher's Home for Boys was opened by the Waifs and Strays Society in 1895. 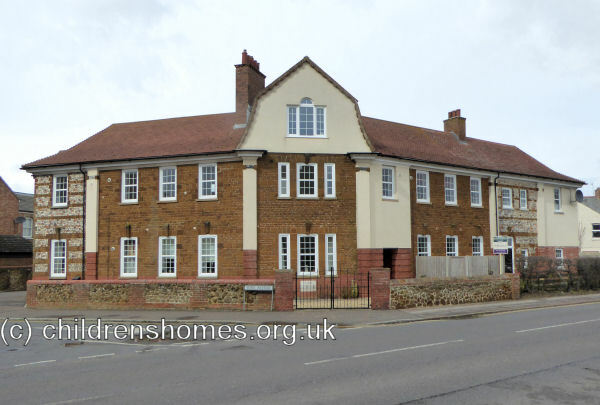 It was originally located in Primrose Cottage on Victoria Avenue, Hunstanton, and was then referred to as the Hunstanton Cottage Home. 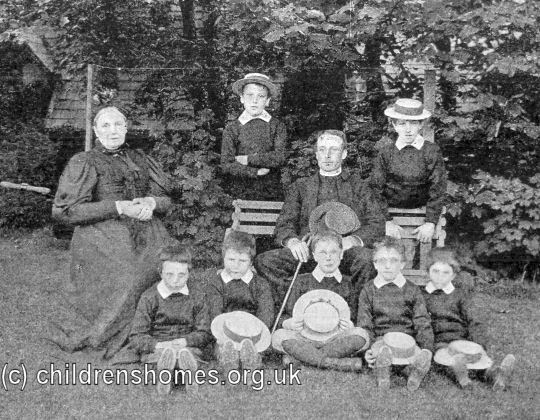 The matron (or foster-mother) was Mrs Sharrod. 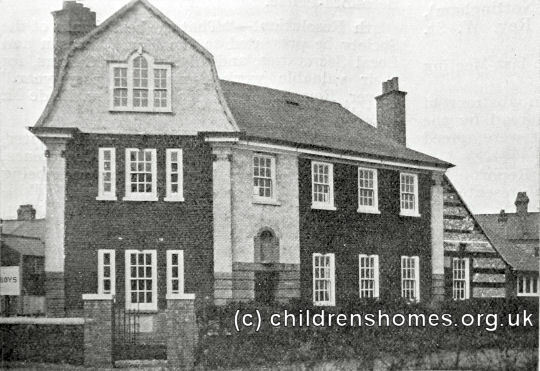 In 1901, the matron was Mrs Clara Beaumont, with 11 boys in residence aged from 7 to 13, Lack of space in the cottage led to the construction in 1906-7 of a much larger house on Cromer Road. 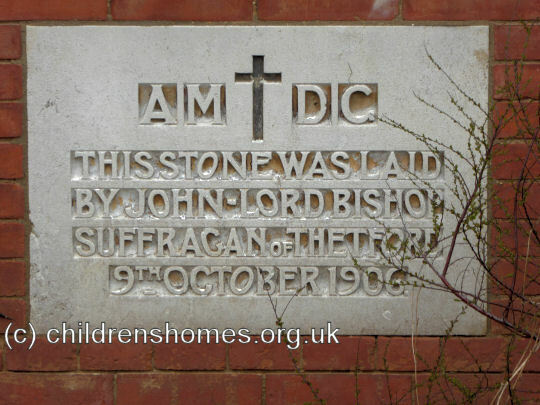 A foundation stone was laid on 9th October, 1906, by the Suffragan Bishop of Thetford. Visit, we pray Thee, 0 Lord, this dwelling, and drive far from it the snares of the enemy, May Thy holy angels dwell within it to preserve its inmates in peace, and may Thy blessing rest upon them always, through Jesus Christ our Lord. Amen. An additional wing for the building was opened on July 21st, 1907. 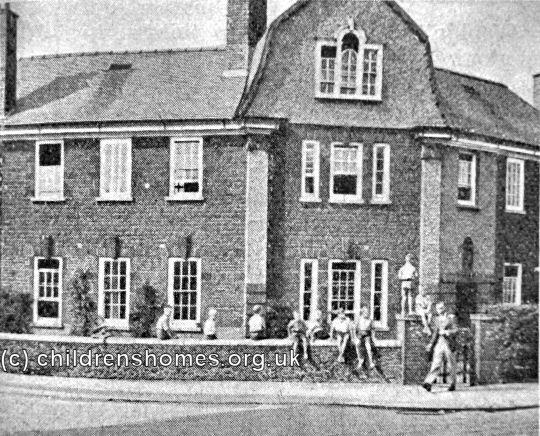 The building could then accommodate 30 boys aged from 7 to 12. 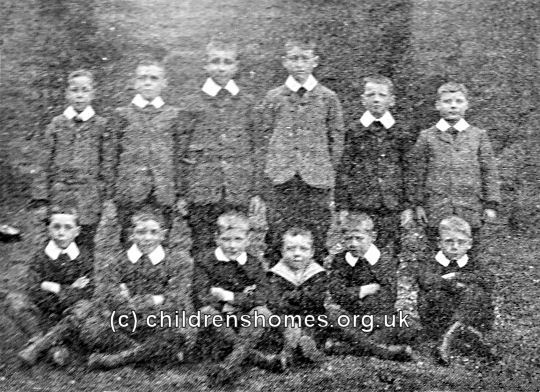 The first residents of the new home were the twelve boys who had previously been living in Primrose Cottage. The St Christopher's boys made a significant contribution to the local church choir. 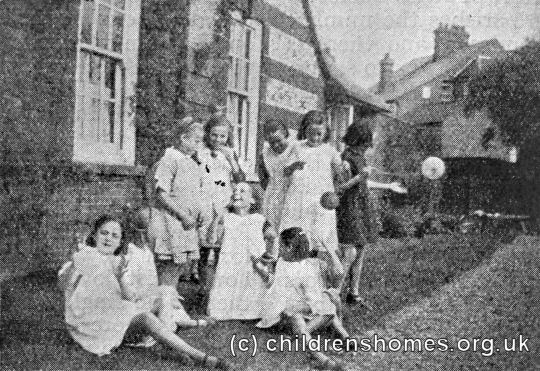 In September, 1924, the home was closed in preparation for its conversion to a girls' home. It seems that in a seaside resort such as Hunstanton, the local employment prospects for those leaving the home were judged to be better for girls than for boys, and training was introduced relating to the tourist industry. Amongst the changes to the property was the construction of a laundry which was needed as part of the girls' domestic training. 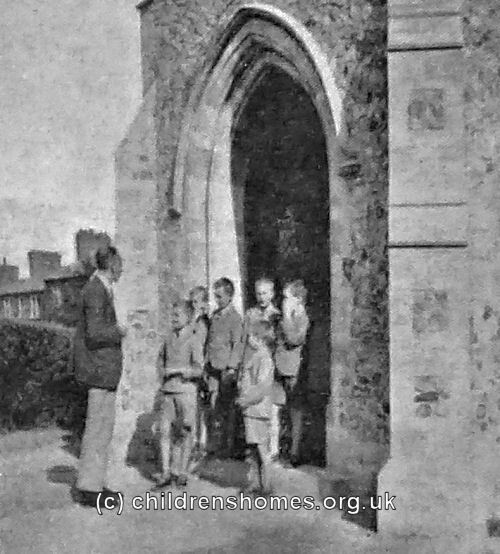 The home was re-opened by the Bishop of Thetford on February 25th 1925. 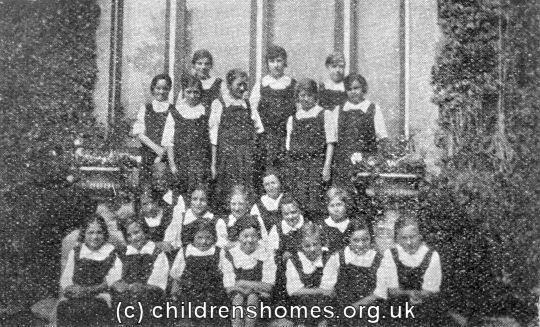 In 1925, the Hunstanton girls visited the royal estate at Sandringham. 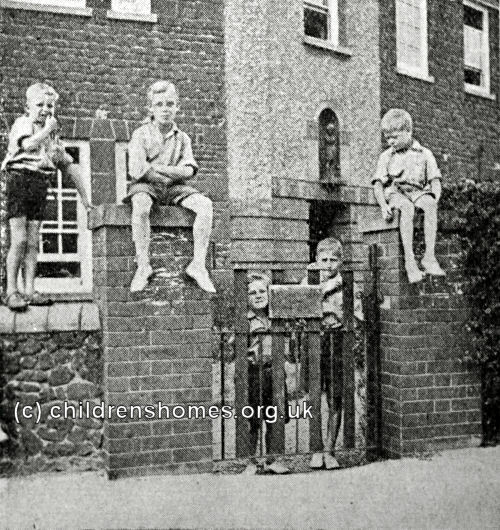 They are pictured below on the steps of York Cottage, where King George VI was born. 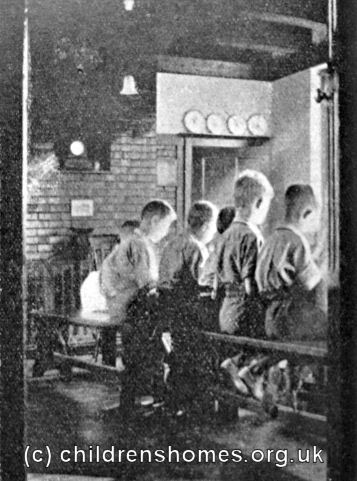 The experiment was presumably less successful than hoped and, in April 1934, St Christopher's reverted to being a boys' home. Some of the St Christopher's boys contributed to the local church choir. 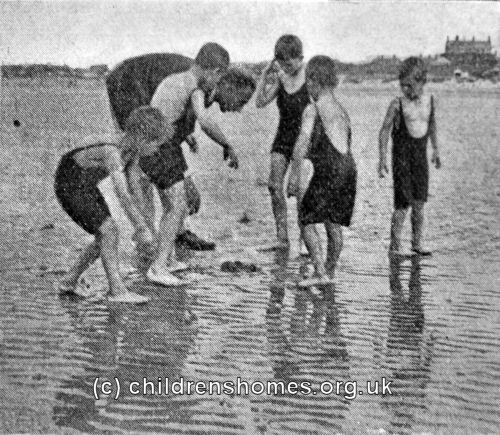 Boys at the home frequently enjoyed themselves on Hunstanton's sandy beach. The home finally closed in 1968, seemingly because travel to Hunstanton proved awkward following the closure of its rail link. 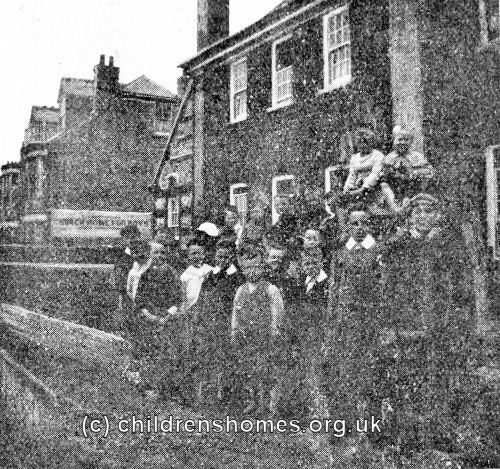 The remaining residents were transferred to the Society new Flynn House home ta Wakefield. The Cromer Road property is now in private residential use.